Department of Transportation (DOTr) Secretary Arthur Tugade yesterday ordered a stop to the practice of collecting a uniform rental fee from applicants of a Seafarer’s Identification and Record Book (SIRB) at the Maritime Industry Authority (MARINA). Secretary Tugade directed MARINA to ensure that there will be no fees collected from the applicants by the MARINA Employees Cooperative (MEC) for borrowing uniforms during the picture-taking session. 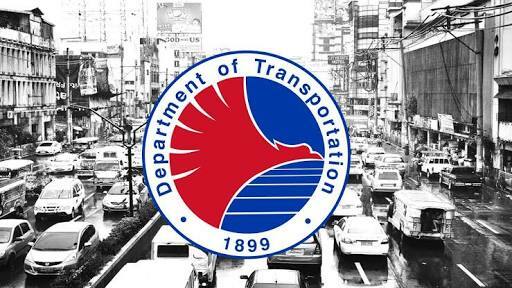 The transportation chief reiterated the order after a video posted by a netizen showed applicants are being charged PhP25 each for borrowing the uniforms from MEC. Applicants were not given corresponding receipts for the use of the uniform, the netizen added, hinting that the money collected would be divided among the MEC members. The netizen also said the fee charged for the uniform is excluded from the payment for the brown folder and stamp that an applicant would acquire from the MARINA main office on Taft Avenue, Manila. If applicants would need to get a Certificate of Proficiency or Certificate of Competency, they would also be required to pay additional PhP25 during picture taking, the netizen added. “Itigil niyo na ‘yan. That is an unnecessary financial burden to our people,” said Tugade. Heeding Secretary Tugade’s directive, DOTr Undersecretary for Maritime Felipe Judan yesterday directed MARINA to issue a Cease and Desist Order to MEC and other entities from engaging in uniform rental services to seafarers. A Notice to the Public informing of such order was already posted at MARINA offices since yesterday. It also reiterated a long-standing policy that applicants must bring their own uniform and shoulder board. Meanwhile, Ma. Soterania Sinel, director of MARINA’s Manpower Development Service, clarified that those involved in the collection of uniform rental fees are neither employees of MARINA nor MDS, but were directly hired by the MEC as staff of the Cooperative.